A heart attack occurs when an artery to the heart becomes completely blocked causing the blood flow to the heart to stop. This results in a lack of oxygen to the heart, causing part of the heart muscle to die. After a heart attack, it can take up to eight weeks to heal the heart muscle. 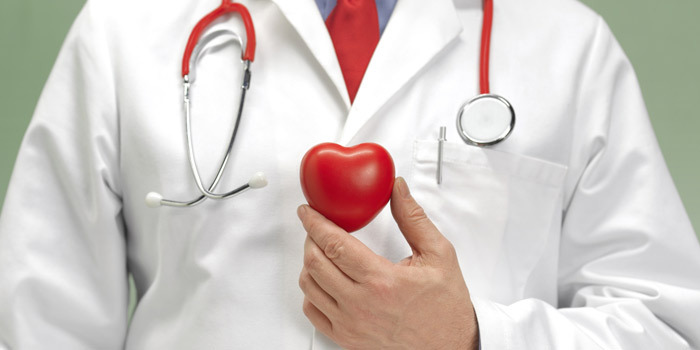 As a result of a heart attack, the hearts pumping abilities decline. The amount of lost pumping ability depends on the size and location of the heart’s scar, which was formed in the damaged area of the heart. Symptoms of a heart attack can last 30 minutes or longer during a heart attack. There are some cases where patients having a heart attack experience no symptoms and are unaware that they are having a heart attack. This is called a silent myocardial infarction and tends to affect people with diabetes. Symptoms of a heart attack to be aware of are discomfort, pressure, heaviness, or pain in the chest, arm, or below the breastbone. An individual suffering from a heart attack may also experience discomfort in the back, jaw, throat, or arm. One may also experience the feeling of a heartburn that results in fullness, indigestion, or choking. Other symptoms include sweating, nausea, vomiting, dizziness, extreme weakness, shortness of breath, and rapid or irregular heartbeats. If you have had a heart attack it is essential to quickly treat it by opening the blocked artery in order to reduce the amount of damage it causes to the heart. If you experience any of these symptoms listed above call for emergency treatment immediately and treat your heart attack within the first couple of hours when your symptoms first began. If you decide to not treat your symptoms immediately, you are at a greater risk of damaging the heart and reducing your chances of survival. Treatment options include medication and it is important to consult your doctor before taking any medication to ensure that it is safe to take. It is also important to be aware of any side effects caused by the medication, as symptoms must be monitored to ensure that the medication is right for you. To be eligible for the Disability Tax Credit, you must have a severe and prolonged physical or mental impairment. Form 2201, the Disability Tax Credit Certificate, includes the following disability sections: vision, speaking, hearing, walking, elimination, feeding, dressing, and performing the mental functions of everyday living. Please note that all sections are restricted to the basic activities of daily living, and the form must be completed by a qualified practitioner. If your heart attack has severely impaired your daily living you may qualify for this tax credit program under the categories listed above. For example, if it has caused severe depression you would qualify under the category entitled mental functions. How To Apply for Disability Tax Credit for Heart Attack? To apply, our experts will assist you in filling out form T2201 where you will need to get your medical practitioner to complete this form. This will ask your doctor to describe how you are impaired by your disability. It is important to be descriptive in this section as a patient can be affected in a variety of ways by Heart Attack.